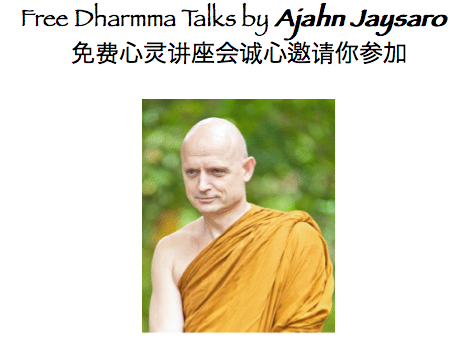 Free Dharmma Talks by Ajahn Jayasaro 免费心灵讲座会! You are warmly welcome to attend some intimate dharmma talks given by Ajahn Jayasaro, a well respected spiritual leader in Thailand and worldwide. Please see below for more info. Admission is free, seats are limited so please do kindly RSVP ahead. 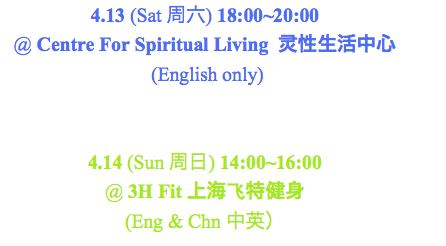 ← 3H Fit上海飞特健身 Grand Opening Invitation 开幕仪式!